While this space was done up with a minimalistic style in mind, it did nothing to create an inviting ambiance. 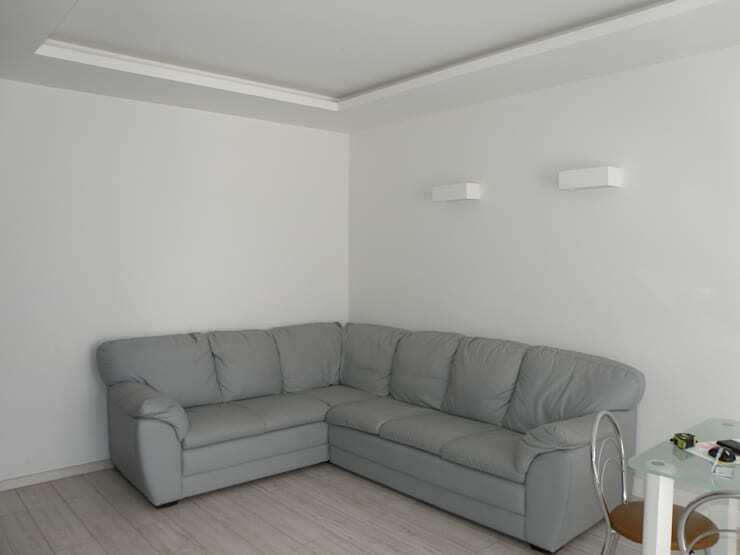 The grey couch sat forlornly with the side table, while the remaining space was devoid of any decor or accessories. The colour palette was boring and the area cried out for something cheerful. The same living room now has a totally changed perspective in terms of design, layout and decor. The energy of the room has been sent soaring to stylish heights with the addition of neon shades that seem to highlight the sheer length of this space. At the same time, the addition of a proper entertainment unit and shelves gives it all a trendy edge. The quirky yellow coffee table and sleek blue shelf are clever additions which make this space more enjoyable and enticing. If anyone had asked us about the theme of the kitchen in its earlier days, we would probably have said, ‘clutter and chaos’. This space was completely submerged with miscellaneous bits and had no proper design to ensure its stylishness. 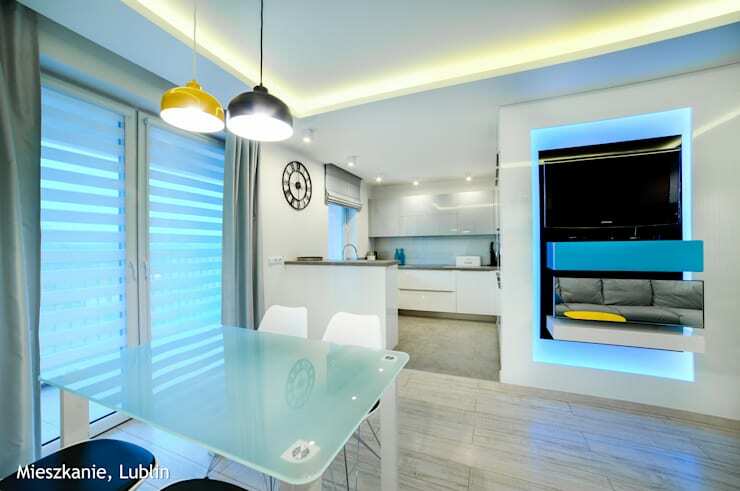 The kitchen and dining area now have plenty of visual appeal, thanks to the blue and white lighting that ties both the areas together. 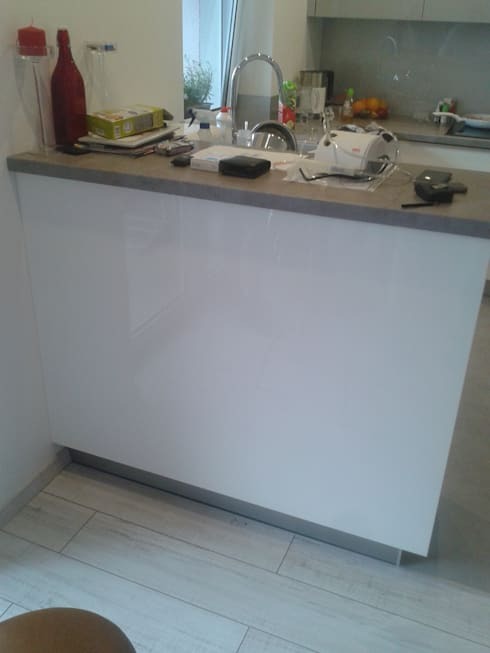 The kitchen has been left open with the island in front and the glossy cabinets behind. A slim metal clock has been added above the island, and the rest of the space sports a neat look. In the meantime, the dining room enjoys a bluish lighting that matches well with the clear glass dining table and moulded chairs. The lamps over the table add a quirky and colourful touch, complementing the decor of the living room nearby. 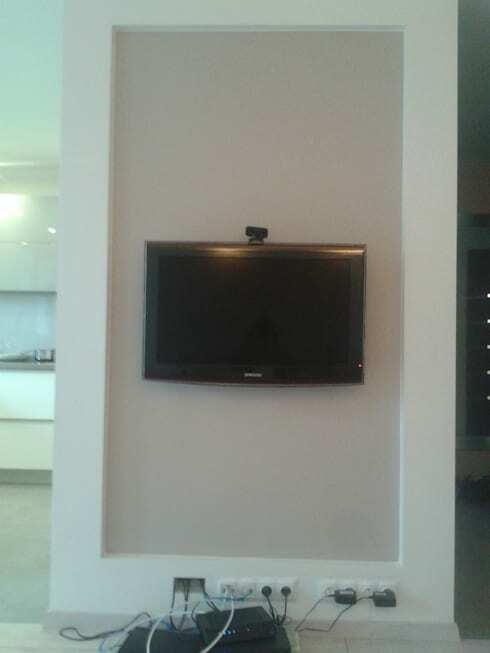 The entertainment wall of the home was anything but entertaining, with its dull hue and the bored-looking television in the middle. To add to the dreary look, the wires below lay tangled on the floor with no unit in sight to rein in the gadgets. 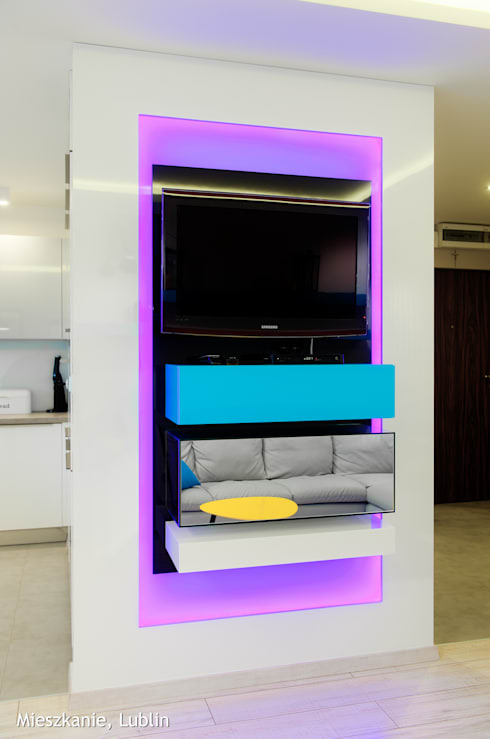 The entertainment unit is now a peppy and sparkling piece with an edgy look, thanks to the neon blue and purple hues as well as the mirrored panel beneath the television. 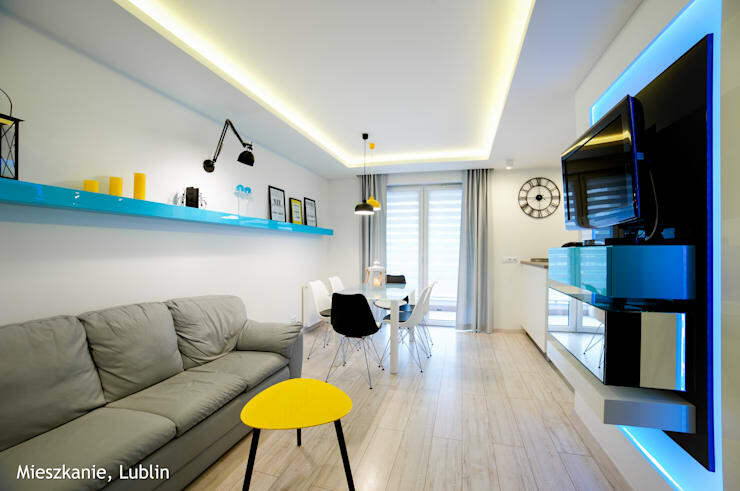 The unique addition of bright and energetic colours and neon lighting has turned this tiny and boring apartment into a brilliant and cosy nest for young professionals or fun-loving couples. Take a look at another makeover story for more inspiration: Gloomy to glorious: a 37-year-old house breathes new life. What do you think of this bold home makeover? Has it inspired you?